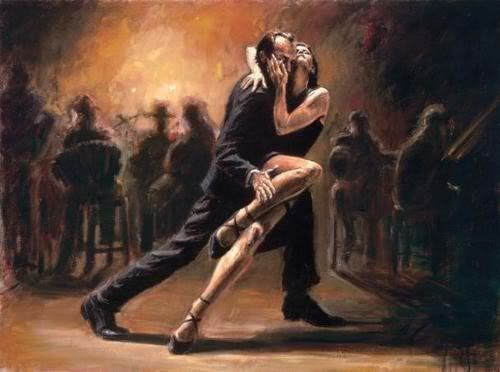 Tango, and other related or derivative styles such as flamenco, charanga, and milonga, are the result of the melting pot that was Spain dating back to the Moor invasion of the Iberian Peninsula, colonization of the Americas, and the mixing and mingling of these cultures. Astor Piazolla, an Argentinian of Italian immigrant parents, was born March 11, 1921 and died July 4, 1992. The more I learned about Piazzolla and his music, the more I appreciated. Nadia Boulanger, whose footprint can be counted at my alma mater, Longy, was very important to his development, and encouraged him to use what he learned as a student at the Paris Conservatoire in his exploration of Tango. Internationally recognized as a revolutionary of Nuevo Tango, this and the influence of jazz is very apparent in his music. And Histore du Tango: Cafe 1930, as is his style, delivers. Though it is a slower movement, the second of the four movements in the whole work, the left hand of the piano gives it steady drive, providing a groove under which the flute gets to float. Moods change quickly and suddenly in this movement – another reason he is one of my favorite composers. Histore was written as an homage to the evolution of Tango. Piazzolla paints a picture of Tango at different points in history: a bordel in 1900, a cafe in 1930, a night club in 1960, and a fourth movement of his own interpretation of tango today. Though I was captivated by Piazzolla as a college freshman, I did not have the opportunity to perform his music for a public audience until this year. (That’s over 10 years ago). I’m still studying and learning about Nuevo Tango and don’t know that I’ll ever feel like I can do it justice, as the best recordings on record are of Piazzolla himself on bandoneon playing his works. But, starting with Cafe 1930, I want to share my interpretation of Piazzolla’s music and what it means to me. This entry was posted in Classical, Flute, Music, Music Criticism, Music Education, Musings, Performance, Piazzolla, Tango and tagged Dance. Bookmark the permalink.